This big, glorious beast of a stove will transform your living space. 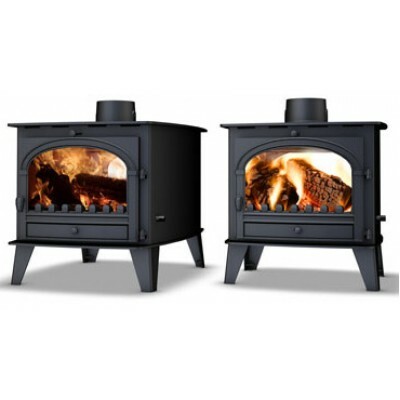 Designed and engineered in Britain, this double-sided stove is hot property. Generously proportioned, its both an efficient heating solution and a dramatic talking point. Luxuriate in grand design and modern technology: the Consort 9 takes quite some beating. With glass windows on both sides, the Consort 9 is perfect for a large open fireplace, where it will radiate warmth evenly through the room. Equipped with our signature Cleanburn technology, the Consort 9 boasts low emissions and a substantial outputs (see the tech key on page 36). Now thats given you something to talk about.